BRS Financial Group's success, and our own personal satisfaction, depends on our commitment to being the best at everything we do. This means making every experience, and every interaction, as productive and valuable as possible. We also strive to treat all of our clients the way we would want to be treated. That has been BRS’ vision from the beginning. 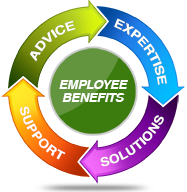 Our mission is to be the premier Employee Benefits, Wealth Management and Financial Planning organization in California. Our goal is to build relationships that last through generations and to ensure that those who work with us are better off having known us. At BRS Financial Group, we’re here to help you achieve your financial goals and guide you through the complexities of planning for your retirement. Our client-centered approach, will help us design a framework for your retirement savings that will evolve with you over the years. We are specialists in providing business owners, individuals, and families with a structured and customized financial plan. Our years of expertise, combined with a highly personalized level of service, allow us to design unique strategies tailored to your needs. At BRS Financial Group, this is our specialty. Let us focus on your employee benefits, wealth management and financial planning—so you can spend your time doing what you enjoy, both now and in the future.